Having recently completed a project RX-8 build for SportsCar magazine, we were looking to transport the car from Southern California to the Sports Car Club of America Tire Rack Solo National Championships, in Lincoln, Neb. Contemplating the many options out there, and knowing we had to complete a 3,000-mile round trip in a very short time, we decided to give the Lexus LX570 a go. The 403lb-ft of torque combined with the gearing made easy work of even the longest climb. 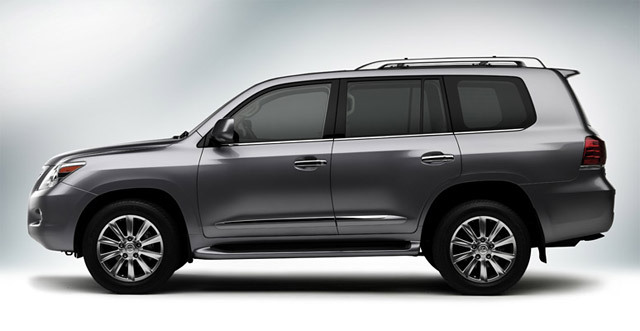 The LX570 will tow much faster than you would ever need to go. Even as our trip took us over the Rocky Mountains and through the Eisenhower Memorial Tunnel, the LX570 never missed a beat. This review really highlights the LX 570’s capability, particularly if you’re looking for insight into how the SUV performs while towing a trailer.